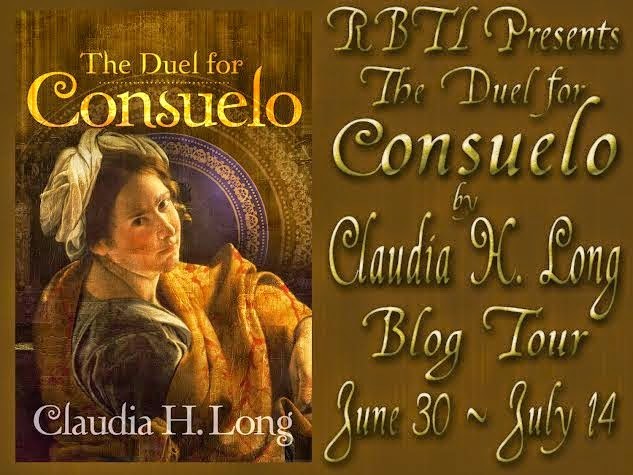 I am pleased to have Claudia H. Long back on the blog today to discuss her newest release, The dual for Consuelo. I have to admit it, steampunks love costuming. 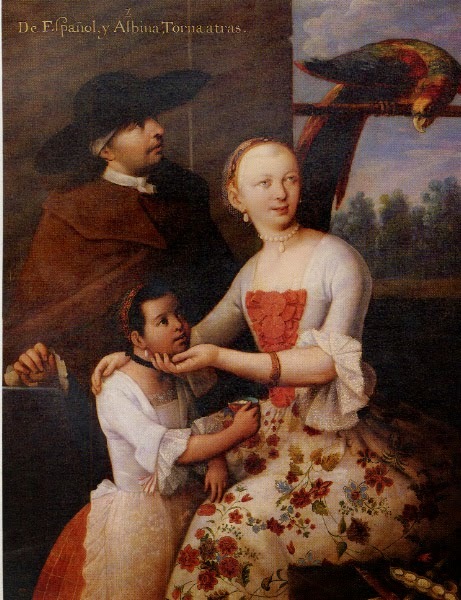 I invited Claudia to come talk with us today about the fashions depicted in her novel and popular in the 1700s. She has shared some lovely images in and insights below! Get ready to give that steampunk wardrobe some Latin appeal! 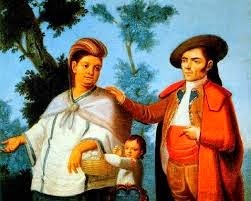 1711, in the far-away reaches of Colonial Mexico, saw the beginnings of changes in the composition of the population. Far from the restrictions of Mother Spain, where the King and the Church were keeping a tight lid on progress, the tendrils of the Enlightenment were creeping in. Ah, the Enlightenment! Science, poetry, literature, and yes, fashion, were all starting to streamline. Off with the frou-frou, high-necked, ruffled tops! Bring on the smooth lines of the new fashion! 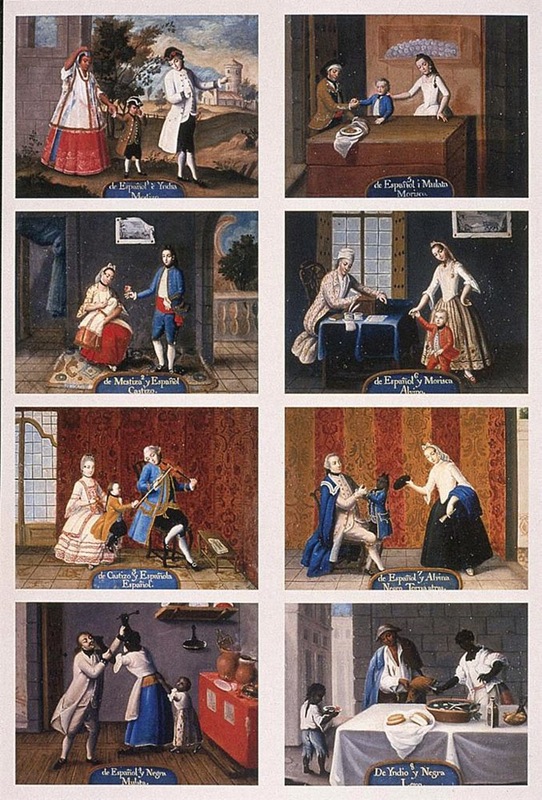 These Casta Paintings and the trouble they could cause feature in The Duel for Consuelo, where secrets rule the day and Consuelo is pulled between the old and the new at home, in Church, and by two men desperately in love with her, and with secrets of their own. History, love, and faith combine in a gripping novel set in early 1700’s Mexico. In this second passionate and thrilling story of the Castillo family, the daughter of a secret Jew is caught between love and the burdens of a despised and threatened religion. 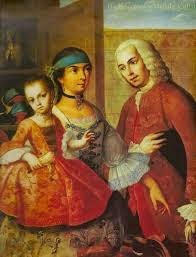 The Enlightenment is making slow in-roads, but Consuelo’s world is still under the dark cloud of the Inquisition. Forced to choose between protecting her ailing mother and the love of dashing Juan Carlos Castillo, Consuelo’s personal dilemma reflects the conflicts of history as they unfold in 1711 Mexico. A rich, romantic story illuminating the timeless complexities of family, faith, and love. I loved writing Josefina's Sin because it gave me a chance to explore my favorite time period of Mexican history. The story takes place in the 1690s, when Mexico was still a Spanish colony overseen by a Viceroy, with Marquis and Counts. It was a very, very different time from today. Women's lives were run by rules that we would find outrageous, but their friendships and loves were much like ours! My second book, The Harlot's Pen, came out February 1, 2014 from Devine Destinies. It takes us to San Francisco in the roaring 20s. Brothels and prohibition, rights for women and the red scare... all in one book! The Duel for Consuelo was published by Booktrope in June, 2014. It picks up 21 years after Josefina's Sin. The son Josefina bore at the end of the book is now 21 years old. Consuelo, the beautiful healer with secrets to conceal, captures his love. But he has a few secrets of his own, and the Inquisition, in a final grasp for power, blocks his way to Consuelo's heart. As for me, I spend my time in California, practicing law and writing books. I've raised my children and have time to explore the incredible impact that art, poetry, law and of course, the heart, had on women of a long-ago time. 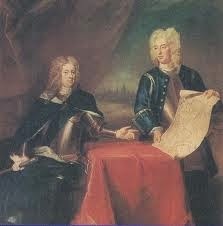 I hope you will enjoy reading Josefina's Sin, The Harlot's Pen, and The Duel for Consuelo!